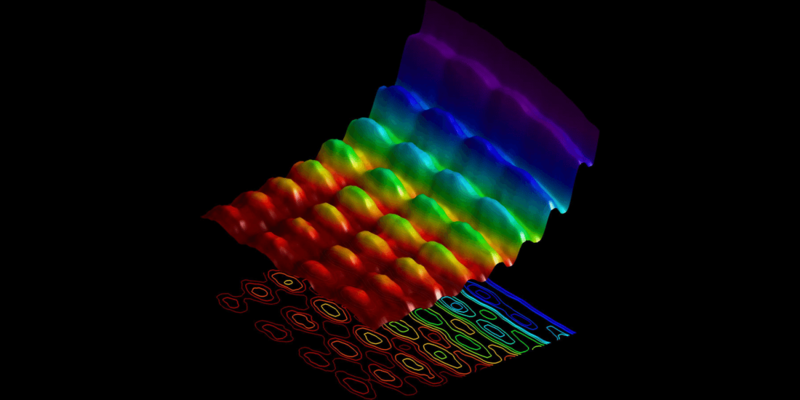 Did we actually observe light as both a particle and a wave? Much of the hype around this paper is driven by some basic misconceptions regarding quantum objects. The popular view of quantum theory is that things like photons are sometimes particles and sometimes waves, and which one they become depends upon how you observe them. But in fact quantum objects are neither particles nor waves. They are quanta, which is a separate thing altogether. 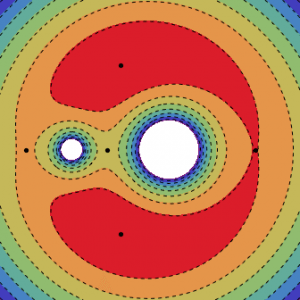 Under the right conditions quanta can demonstrate wave-like and particle-like behaviors, and there is complementarity between them so that quanta tend to lean toward one or the other in an experiment. But within the formalism of quantum theory, particle-wave duality is a property of the quanta as a whole. Thinking of quanta as particles or waves is far to simplistic when dealing with quantum theory. This is important to keep in mind when popular articles such as this hit the web. As research areas such as quantum optics and quantum computing developed, we’ve gained tools to really start looking at sophisticated quantum interactions. It’s how we’ve been able to study things like the connection between the uncertainty principle and entropy, or study phase velocity in a quantum system. But since this kind of work isn’t easy to describe in simple terms, it gets hyped as “quantum mechanics gets simpler!” or “speed of light not absolute!” The same is the case here. The team maintained a wave pattern while inducing particle-like interactions. Credit: L Piazza, et al. So what’s really going on in this work? The team pulsed laser light at a tiny wire of conductive material (a nanowire). 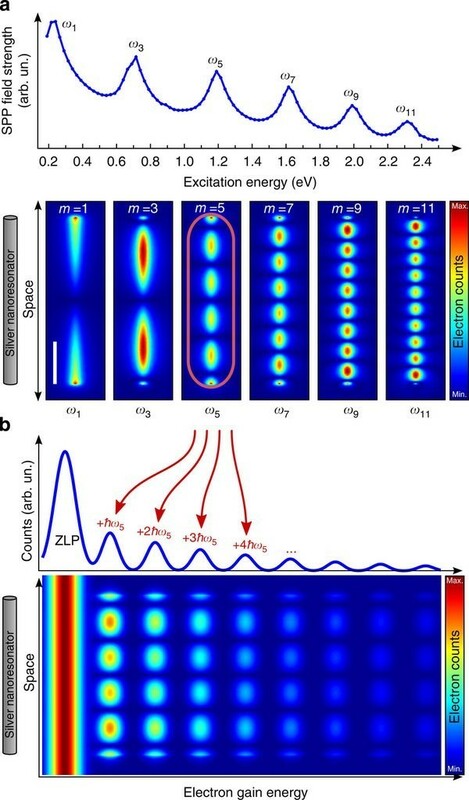 The light induced what is known as surface plasmon polaritons in the nanowire, which is basically an electromagnetic wave pattern within the electrons of material. Because of the size of the nanowire, the plasmon polaritons form a standing wave within the wire, which is where the “wave” aspect comes into the experiment. They also radiate light, which in a quantum sense means that photons are emanating from this standing wave. The team then aimed a beam of electrons at the set up. Some of the electrons collided with the emanating photons, and thus gained some energy. Since these collisions are particle-like, they gain specific (quantized) energy amounts from the induced photons. Basically the team found a way to induce particle-like interactions while maintaining the overall wave aspect of the system at the same time. Does this mean the team caused a specific photon or electron to behave as a particle and wave at the same time? No. The particle interactions with the electrons and the induced wave pattern in the wire are two separate aspects of the system. But their result is useful because it could allow us to study quantum interactions directly. This type of work is really useful for photonics and quantum computing, and it’s a clever way to interact with quantum systems. But this is not an experiment that somehow violates quantum theory. We’ve known for a while that we should be able to do this kind of thing in theory. The achievement here is that they actually pulled it off. Are You A Black Hole?